Headaches are commonly classified under categories such as tension, sinus, migraine, menstrual and cluster among others. Many researchers and doctors are no longer drawing distinct lines between tension and migraine headaches. They may only be different degrees of the same disorder, tension headaches being less severe than migraines. Headaches have been difficult to study for several reasons and continue to be misunderstood and mistreated. Although a headache may be associated with a serious medical condition, most headaches are not serious, even when debilitating. Headaches can be caused by a wide variety of factors, but the overwhelming majority are of the tension/migraine type. For years, tension headaches were believed to be caused by muscle contraction due to stress. However, the muscle changes may occur in response to the pain and not be the cause of the headache. Similarly, in migraines, blood vessel changes can follow the onset of pain and not cause it. Tension headaches usually have a steady, constant, dull pain that may start at the back of the head or in the forehead and then spreads over the entire head, giving the sensation of pressure or a vise grip applied to the skull. The tension headache is usually present on both sides of the head. These headaches can occur every day and are normally more severe in the evenings. Tension headaches are experienced when an individual is under stress. The more intense headaches, called migraines, are characterized by a throbbing or pounding sharp pain. 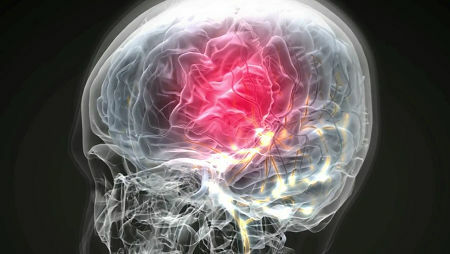 The additional symptoms such as nausea, visual auras and dizziness occur simply because the headaches are more severe. Migraines are usually experienced after stressful periods have ended and the body is attempting to repair and detoxify. are different from headaches you have had in the past or are very severe and come on very suddenly. Up to 25% of women have migraine during their reproductive years, with an average prevalence of 16% (11% without aura and 5% with aura). In 60-70% of cases in women, the headaches are related to the menstrual cycle. Attacks that occur exclusively with menses, called "true menstrual migraine", affect about 14% of sufferers. Some researchers have suggested that migraines occurring on a regular basis between days -2 and +3 of the menstrual cycle be considered menstrual migraines; premenstrual migraines occurring between days -7 to -3. Patients with classic migraine have a two-fold increase in incidence of mitral valve prolapse. Persistent headaches are one sign of fluorosis. Tyramine-containing foods are responsible for migraines in 15% of sufferers. If you have observed a sensitivity to such foods, you should try a tyramine-free diet for a short time. If headaches resolve, reintroduce foods high in tyramine. If headaches recur, you may be able to control your headaches by avoiding these foods; if not, you may be allergic to other foods. ingredients through your system to alleviate your headache faster. Caffeine, given by itself, was given to headache sufferers. The result was that 58% said it was completely successful; the same number reported ibuprofen alone was completely successful. Many said that they felt better, faster taking just the caffeine. When standard painkillers were combined with caffeine, 70% of patients reported complete relief. Caffeine does, of course, have its down sides. It is a stimulant and some studies have actually found that high caffeine consumption is linked with suffering from more headaches, perpetuation of the headache cycle and a temporary rise in blood pressure. Unhealthy practices such as drinking coffee and soft drinks, eating sweets and other nutritionless foods contribute to the problem. When migraine and tension headache patients are placed on low-protein, natural plant-based diets, with no refined sweets of any type, they often recover within a month, never needing medication or further treatments to control their condition. If improvement is not complete, other detoxification techniques should be employed. When diet change has not yet produced its full effect, the use of cold and pressure are usually the most effective and practical means to control the pain. It is believed by those specializing in detoxification that the major cause of both tension headaches and migraines is the retention of toxins or tissue irritants within the central nervous system. These chemical irritants may cause an oversensitivity of nerve tissues to other stimuli, resulting in headache. Drugs for relieving pain are rarely necessary if headache sufferers are allowed to fast and detoxify at the first sign of headache symptoms. During periods when you are not ingesting harmful food substances or drugs, your body will often use that opportunity to detoxify, which may initiate another headache. This is the time when you must try to use non drug measures such as cold compresses, rest in a dark room, banding with Velcro, or biofeedback. Headaches can also be caused and worsened by not eating. The reason is that not eating triggers withdrawal symptoms as the body begins to detoxify and get rid of retained toxins. Remember: For a short time you may feel bad so that for a long time you can feel good. Persistent severe headaches that do not respond within a few days of fasting should always be further evaluated by a physician. The regular and frequent use of conventional drugs should be avoided when possible. While pain killers may provide relief, they don't deal with the cause of the problem. Pain medications, though apparently effective, may even aggravate the problems they attempt to solve. The use of medication, even in quantities as low as ten aspirin tablets per week, can be the cause of a chronic daily headache syndrome. One medical study found that stopping all treatments and pain medication actually decreased headache frequency and intensity in the subjects by more than 50%. The best thing to do when tolerable and circumstances allow is to avoid taking medication and assist the body's detoxification process. Food allergy may be a factor in as many as 80% of migraine sufferers. In one study of 60 patients, the average number of foods causing symptoms was 10 per patient. All patients improved when offending foods were eliminated and 85% became headache free. All 15 patients who had high blood pressure at start of study saw blood pressure return to normal. The following were most often implicated as a cause of migraine: cow's milk (30%); eggs (27%); chocolate (25%); oranges and wheat (24%); cheese and tomatoes (15%). Common food triggers of migraines were milk products, sweets, corn, beef, coffee and teas amongst others. While food allergies are an important factor in migraines, they play less of a role in tension type headaches. Several researchers have provided substantial links between low magnesium levels and both migraine and tension headaches, based on both theory and clinical observations. A magnesium deficiency is known to set the stage for the events that can cause a migraine attack or a tension headache. Low brain and tissue magnesium concentrations have been found in patients prone to migraines, indicating a need for supplementation. One of magnesium's key functions is to maintain the tone of the blood vessels. Many individuals with migraine can obtain effective relief by simply applying an elastic band around the head, securing it with Velcro, and inserting rubber discs (or any available substitute such as a bottle cap) for added local pressure over the areas of maximum pain. A study utilizing a 2-inch elastic band approximately 25 inches long with Velcro at each end showed impressive results with this non-drug approach for relief. Firm rubber discs the thickness of a finger and a little over an inch in diameter were employed. Patients were instructed to place these discs under the elastic headband over the area of maximum pain. Almost every patient in the study reported benefit. Twenty-three patients used the band for a total of 69 headaches. Forty of the headaches were relieved by more than 80% and 15 additional headaches improved by more than 50%. Researchers at the University of Miami School of Medicine found that massage is helpful in alleviating pain in migraine sufferers. In a study of tension headaches, individuals were treated with either a combination of spinal manipulation and massage, or massage and a placebo laser treatment. Both groups experienced an improvement in symptoms suggesting that massage alone provides benefits for the treatment of tension headaches.